According to the reports wandering on the internet, the much awaited Ford EcoSport is all scheduled to be launched by the end of March 2013 in Nepal. According to the comment from the Go Automobile, the official dealer of Ford in Nepal, petrol model of the SUV is scheduled to launch first. The move is mainly taken as a publicity stunt to gain a wide popularity before launching the diesel variant. 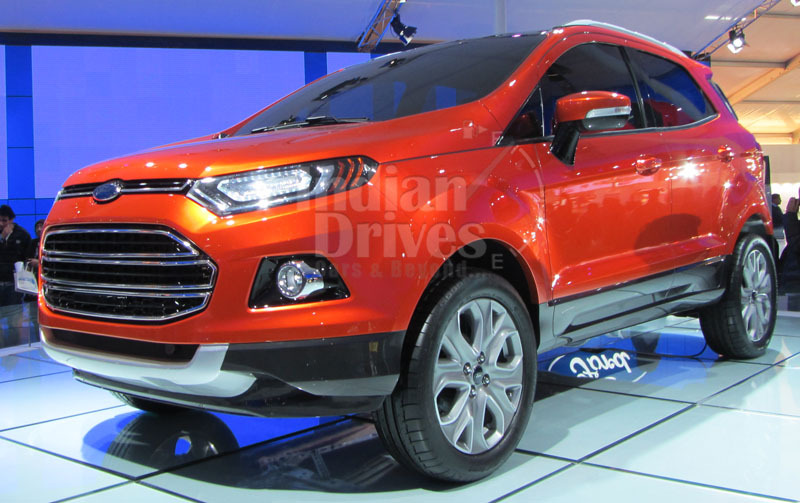 The Ford EcoSport that is destined to appear in the Nepal and India will be housing a 1.0 litre 3-cylinder Ford EcoBoost petrol engine which can churn out a maximum power of about 11 bhp and a high torque of about 170 Nm. As far as mileage is concerned, company has not yet revealed any details about that but according to the speculations its mileage may be approximately around 20kmpl. In addition to the incredible fuel economy, the Ford EcoSport price is also being expected to be low in order to compete with the massive sale number gathered by the Renault Duster. But the main key points for its success will be the features incorporated in the SUV. It is already a highly anticipated vehicle and company would like to cash on the craze it has created. As the Nepal has confirmed the launch in March end, one can assume that the Indian version will be arriving at the same time or before that.